In conjunction with the conference several meetings will be organized, either through some of the conference sponsors (see also the workshops page) or through organizations that have an interest in the community that visits this conference. To stimulate the use of the COSMIC method, COSMIC will be issuing awards for achievements that help to promote the COSMIC methods. The categories that will be awarded this year are announced in the poster below. 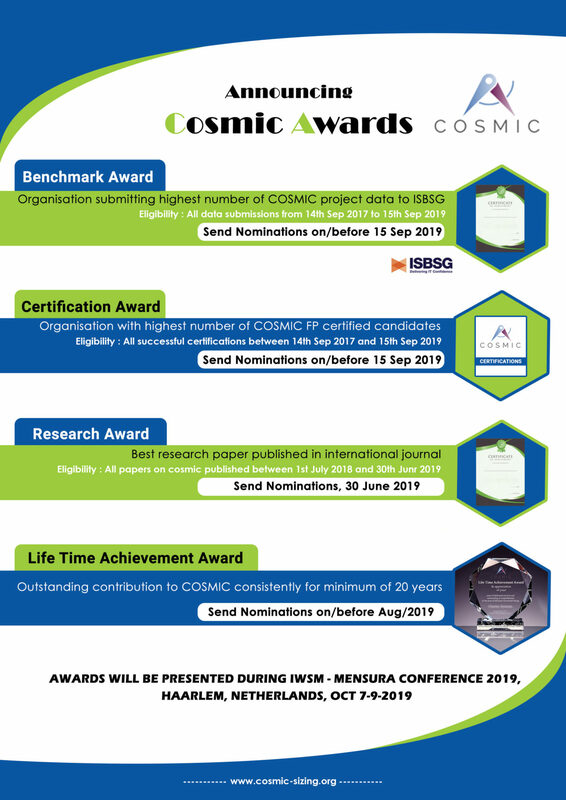 Nominations for these awards can be sent to awards@cosmic-sizing.org.